All professionals at Greater Austin Urology maintain the highest levels of accreditation and pursue ongoing education to stay abreast of the latest trends in the medical field. Read on to learn more about our staff's experience and training. 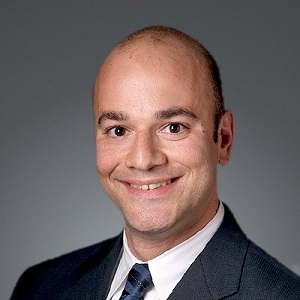 Dr. Lucas Jacomides grew up in Houston, where he attended Rice University. He is a graduate of The University of Texas Southwestern Medical School at Dallas, where he also completed his urology residency. He also earned an MBA at the University of Texas McCombs School of Business, and is an Assistant Professor of Surgery at the Texas A&M Health Science Center College of Medicine. Dr. Jacomides has special interest in treating patients with enlarged prostates, urinary incontinence, kidney stones, bladder cancer, prostate cancer, and kidney cancer. When he is out of the office and out of the operating room, he enjoys cycling, boating, snow skiing, scuba diving, and travel with his wife Jenny, and their three children, Katie, Nicholas, and Bailey. Read Dr. Jacomides full CV here. Since Stacey was 13 years old she wanted to be a nurse. She graduated from Bradley University in Peoria, Illinois with a Bachelors in Science in Nursing in 1988. 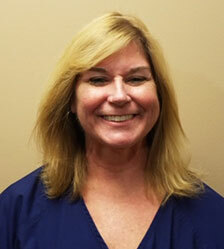 She has a vast background of both in and out-patient settings including the last 20 plus years in clinic management. In December 2017, she became board certified as a nurse executive. Stacey enjoys her nursing career and honestly couldn’t see herself in any other career. In Stacey’s spare time, she enjoys watching movies, traveling and spending time with her 2 children, Katie and Dawson. Benny grew up in Southern California, the youngest of 8 siblings. He enlisted in the military when he was 18 years old and served for 20 years before retirement. 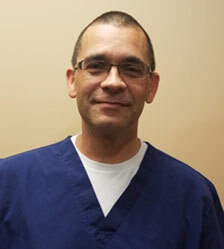 During his time in the Army, Benny started his career as a medic and then went on to attend and graduate from the US Army LVN school at Ft. Sam Houston in San Antonio, TX. His military career had him stationed throughout many stateside and overseas locations over the years, including combat tours in both Kosovo and Iraq. After retirement from the military, Benny settled in Cedar Park, TX, with his wife, Diane and son, AJ. Upon settling in to civilian life, Benny decided to return to school to earn his RN degree. He has worked with Dr. Jacomides for several years in the past, and is excited to rejoin him and his team at Greater Austin Urology. In his spare time, Benny enjoys riding his motorcycle, computer programming and spending time with his family.